Amazing hostel. Crazy good location rooms are spotless and facilities are spot cleaned everyday. There's a supermarket next door and heaps of restaurants up front. I ended up extending my stay 2 times while here. We had a lovely short stay at the hostel! The staff was amazing, every interaction was very friendly and helpful, the location was great (right off the main street), the room we had was nice and even had a lounge chair in it! One day we rented bikes, which was super easy and at a good price. There’s a small kitchen, which has everything you could need and the bar/ reception area was also a fun place to hang around. We would definitely come back here again!! 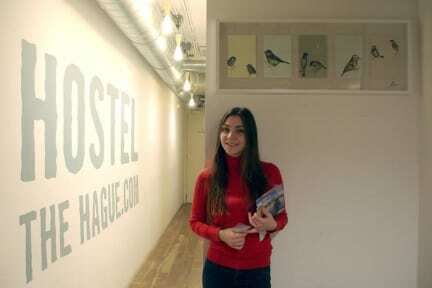 The best hostel in The Hague! The location is perfect. In the center, near supermarkets, bars, shops, parks, and public transport. 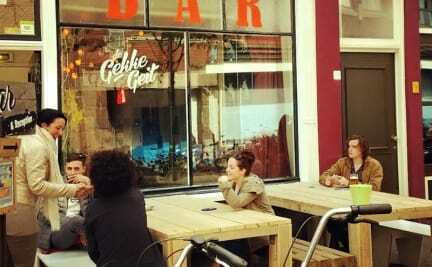 The hostel has a bar downstairs with a great atmosphere where you can also listen to live music. The staff is very friendly. They resolve doubts very quickly and worry that everything is fine. Maybe the bad thing for someone is that there is only one bathroom and one shower per floor but for me and my traveling friends it wasn't a problem. 100% recommended! Great central location which allows access to everything the city has to offer. The staff are lovely and offer great recommendations as well as doing their best to accommodate for your needs. Love this hostel!! The staff and volunteers are amazing, so much fun. I was there in an reasonably low peak season, so there wasn't many guests there but the vibe of the place was still so much fun. Chill in the day and wild at night. The jazz bar downstairs is a lot of fun. I was directly above it so I thought I would have problems sleeping, but I didn't at all, it wasn't that loud at all and they turn the music of at 12am anyway :) The owner of the place was awesome, love her!! Excellent location, friendly staff. Bare bones rooms with nothing except beds and lockers. Locks are provided for lockers but they're minimal security -- my lock was tiny and could easily have been broken with, say, a sturdy boot. The bar is nice (I don't drink but enjoyed their delicious coffee). Kitchen is functional if a bit small. The kitchen is the only common area besides the bar. A small but functional hotel with sufficient facilities such as separate showers and toilets as well as lockers. As described, this is a relatively party hostel with huge happenings on Thursdays (Thirsty Thursday), so if you’re looking for a place where you can stay in early, look somewhere else. My stay was cut short due to the allergic reaction that I had to their sheets, but my stay was otherwise enjoyable. Small hostel but a nice place to stay over weekend. There is only one toilet in a floor so that can be an issue if you are in hurry.